SCHAUMBURG, IL (July 2016) – ETEL is pleased to announce its new XYZ3TH Stacked System as entering the already broad range of ETEL motion systems. The VULCANO XY part of it is a three-piece-design stacked system results in a cost-engineered solution providing high dynamics, great bidirectional repeatability, and outstanding position stability. It was born as a semiconductor front-end solution but can also serve many other applications. The XY system is a mechanical bearing-based platform, integrating iron core linear motors, and mainly dedicated to point-to-point applications. The bottom axis is composed of two linear motors controlled in a gantry mode moving on three decoupled linear bearings. The upper linear motor lays on a stiff and light baseplate allowing travels larger than 650 mm. The stage is easily configurable and can be outfitted with the module (theta, ZTheta, ZTheta Tip Tilt) best suited to each individual application. 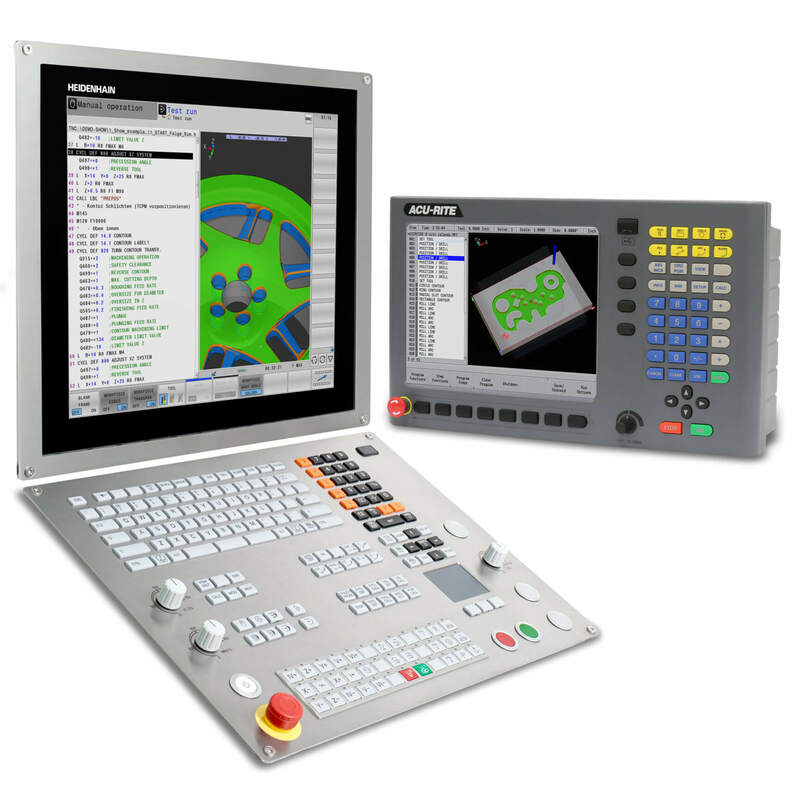 Thanks to the flexibility of the platform, it is perfectly suited for front-end segment with wafer process control applications such as Overlay metrology, Critical Dimension and Thin Film Metrology, as well as back-end applications with advanced packaging related ones, to name but a few. The mechanical bearings provide high stiffness in the XY plane as well as in the vertical direction, allowing for high accelerations (up to 2.5 g), high speed (up to 2 m/s), great bidirectional repeatability (±250 nm for the X and Y axes) and position stability in the nanometer range. The linked image shows an XYZ3TH configuration mounting an ETEL Z3TH Combined Module on the upper axis of the XY assembly. The Z3TH Combined Module provides 364° Theta rotation, double Z-axes, a coarse one for wafer loading and unloading, and a fine one for focus adjustment, as well as a Tip and Tilt correction over ±0.1°. This Z3TH module is a nice alternative to piezo based Z actuators, eliminating the hysteresis and non-linearity in open loop while offering better tracking error during movement, repeatability, and move and settle performance yet over much longer travels. 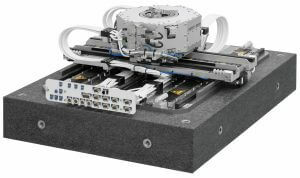 This module can be replaced to best suit the needs of an application, whether that application requires only Z motion, pure Theta motion, or ZT motion without Tip and Tilt correction. 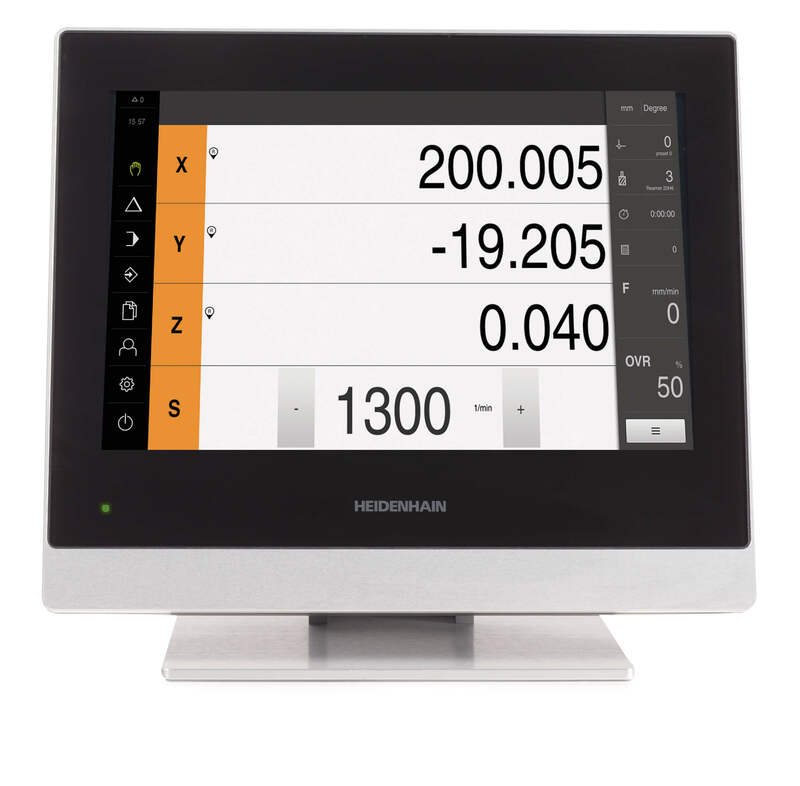 The stroke of the X and Y axes can be adjusted to accommodate a 300mm or 450mm wafer, and to cope with the needs of even longer strokes for panel-based applications. The platform can also be integrated with ETEL’s QuiET Active Isolation System to further improve system performance. For more information on ETEL’s motion products, call ETEL Applications Engineer Julius Rurangirwa at 847-519-3952. For information on all ETEL’s products and services, visit www.etelusa.com or contact Public Relations Manager Kathleen Stoneski at HEIDENHAIN at 847-519-4702.